I have said it before and will likely say it until I am pushing up daisies: The brain is the most important tool when preparing for combat. While realistic training and proper gear are certainly important, if the brain is not ready to engage in conflict, the rest of the body will not proceed. Anything can be a weapon if the brain makes it so. Or as John Steinbeck so eloquently stated, "The final weapon is the brainâ€¦all else is supplemental." While training law enforcement officers and armed citizens over the last few decades, I have encountered an interesting thought process time and again. It's the thought that fighters are born, not created, and this is just not so. Whether a person is a fighter or a pacifist is a product of his or her life experience, cultural heritage, upbringing, environment, formal education and a number of other factors. There is also a misconception that all police recruits are combative by nature; this is not true either. I have trained many young officers who had no intention of ever engaging in conflict, who wanted to get desk jobs or other low-hazard posts as soon as they got out of the academy. And then there are the people who want "to help" others and think there is good in everyone regardless of their past. I think these people are clueless, and this type of officer is out there right now. And if one of them is dispatched to a crime in progress at your house, don't expect much. What about the rest? It is possible to condition people to have a proper combative mindset. Unfortunately, the time needed to do this is not available in the typical basic police academy or in-service program, so it's up to the individual officer to prepare himself or herself. Considering what the basic function of law enforcement is, it makes little sense to me not to condition yourself for combat. For example, you are walking down a street with your significant other when you are approached by a man who says, "There is a suspicious person down that alley. Be careful." As a citizen, your response will be to stay clear of the alley. You might call 911, but there is no way you would enter. If you're a cop, you will go down the alley because it is your job. You have been tactically trained to do so, but at some point you will enter the alley and confront the suspicious person. Understanding this reality, why would you not choose to condition your mind? The first step to conditioning your mind is to accept reality and reject fantasy. It's not just the civilian population that believes violence will happen to the other guy. There are a number of cops working the streets who believe violence will never come their way either. Oftentimes these officers are described as "Officer Friendly" and believe by always helping their fellow man no one would want to hurt them. Many of these cops have been dead wrong about this concept. While statistics have shown violent crime is down in America, don't believe all you read or hear about statistics. Most victims of violence are taken by surprise, and cops are no exception. A personâ€”especially a person in a job whose purpose is to seek out lawbreakersâ€”who accepts reality and understands they can be attacked will be better prepared to deal with it. Remember, bad things happen to good people in nice places, and this includes cops who work in "quiet" towns. The next step is to adjust your mind to this reality. Be ready to face the likely threat, not some fantasy that is possible but unlikely. Years ago I was at a gun school and preparing for a scenario involving Simunitions training. The instructor gave me the instruction: "You are armed on an airplane at 35,000 feet when several terrorists take over the plane. They are going to start executing passengers, and you need to act." What? I'm not permitted to take a gun on a plane, so how would I ever be put into such a situation? A more likely scenario would have been: "You are off-duty in a convenience store when a man comes in and robs the place at gunpoint. He tells the clerk he is going to kill her, and you need to act." This situation is much more realistic and much more deserving of your consideration. Awareness is the key to individual personal security, whether on- or off-duty or just as an armed citizen. World War II Nazi Ace Erich Hartmann said, "The person who sees the other first has half the victory." It's hard to argue his logic, and he understood combat quite well because he also said, "The man surprised is half beaten." Whether you use Jeff Cooper's Color Codes of Awareness or John Boyd's OODA Loop as a reminder of your state of mind, you constantly need to be "switched on" whenever you are out and about. Awareness is like a light switch: When on, everything is light and bright, and informed decisions are easier to make. When switched off, everything is dark, and it's hard to see or understand and deal with what limited information is coming at you. You are either switched on or switched off. Which are you? Okay, so you understand the threat and have accepted it. How do you respond when it comes your way? The first thing you will need to do is control your fear. That's the single biggest hurdle to an appropriate response. Keep in mind fear is your friend; it is there for a reason. Anyone who says they are not afraid is either a liar or a fool, because fear is the body's way of telling you danger lurks and you should pay attention. Embrace fear, but understand how to control it, keep it in check and use it to enhance your response to danger. The single biggest factor in controlling fear is having the skills needed to deal with danger and the confidence your skills will work in conflict. This brings us to the final step in conditioning your brain: Empower yourself with solid training and developed skill. In conflict, humans do not rise to the occasion; they default to their level of training and life experience. In times of dire stress and duress, the subconscious brain kicks in, and we run on autopilot. If we do not have the proper skills to call upon, humans just fold their tents and accept whatever happens to them. As the legendary Jeff Cooper once said, buying a handgun and placing it in a drawer no more makes you a gunfighter than buying a piano makes you a musician. For cops, firearms qualification does not prepare one for conflict; it just means the shooter can attain an arbitrary standard. 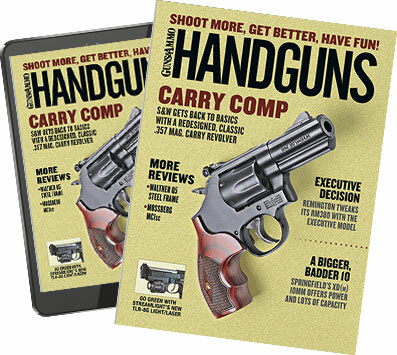 Once the essentials of combative pistolcraft are understood and practiced, the shooter must learn to fight with a gunâ€”something quite different from just shooting. In the end, conditioning the brain for combat is about each and every one of us making the decision that danger will come our way and preparing for the eventuality. If you just put your head in the sand, it will probably be separated from your body.